As previously noted, Japanese tank design, like many others, started with examples of the Renault FT from WWI and advanced from there. Their first efforts, the Type 89 Medium and Type 92 Tankette, paralleled Western designs. In 1935 they designed a new three-man light tank armed with a 37mm cannon and two 7,7mm machine guns. Weighting at about 8 metric tons, the little tank underwent four years of testing before entering full production in 1939. But the Japanese did not understand or take into account the results of tank combat with the Soviets in 1938-1939 at the Khasmin Lakes or Khal’kin Gol. As a result, they wound up with tanks with inferior armor and armament to their main enemy in the Pacific, the United States. While around 2,100 Ha-Go tanks were built with about 900 coming from Mitsubishi Heavy Industries, they served in all theaters and for the entire course of the war. But they rarely enjoyed success in combat; tanks which work fine against unarmed peasants in China and Korea are usually not well suited for a mechanized enemy with better tanks and better tactics. 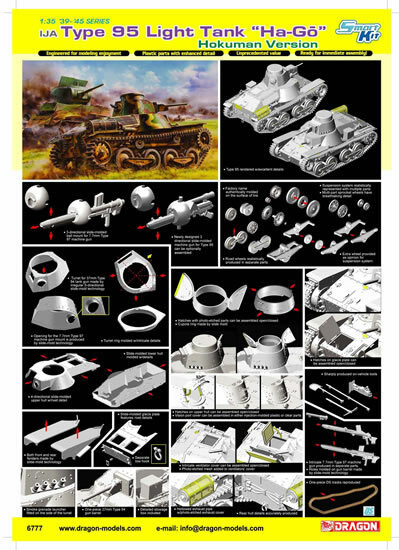 Attempts at upgrades, such as modifying the little tank to mount the heavier Type 97 Chi-Ha turret with 57mm gun, provided little relief. Possessed of poor visibility, a large “dead zone” around the tank, and tissue-paper thin armor, it was usually more lethal to its crew than the enemy. Its swan song was during its use by the 2nd Japanese Armored Division as dug-in pillboxes on the island of Luzon. A prototype was developed for use in China and Manchuria which used an improved suspension, but it apparently did not go into production. 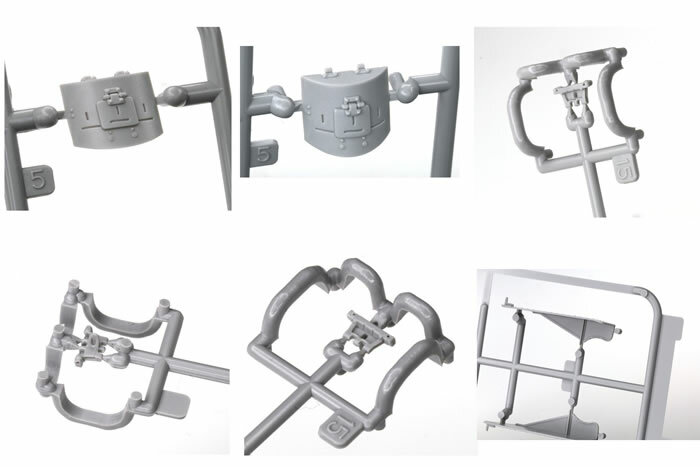 DML has now produced a model of the Type 95 as modified for use in Hokuman – their term for northwest China and Manchuria in the 1930s. But as noted I cannot find any information on this tank and it may in fact only be based on the prototype noted above. 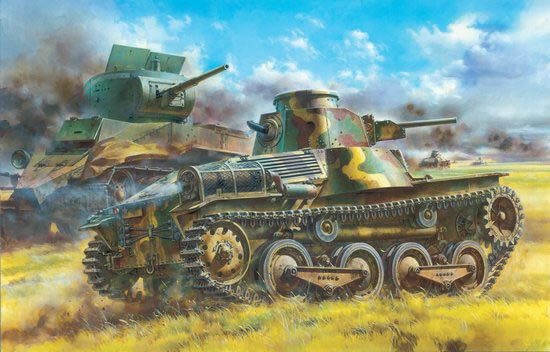 The box art has a nice rendition of one passing a knocked-out BT tank, but as even Japanese histories admit the Type 95 had virtually no chance against the 45mm gun armed Soviet tanks and most of the tanks knocked out fell to artillery or “Molotov cocktails”. 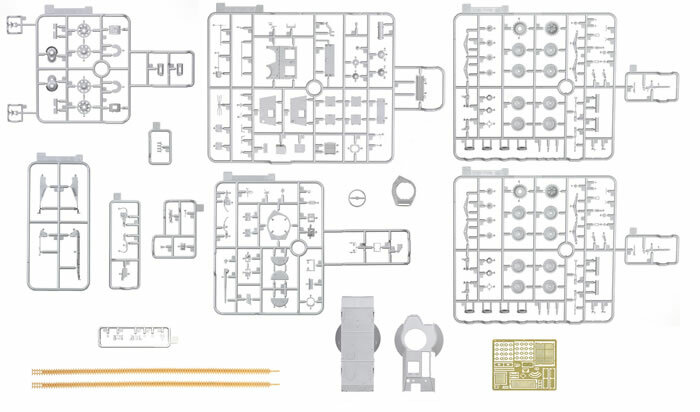 Be that as it may, the kit is basically their very nice Type 95 kit with a new sprue of parts for the modified suspension bogies. The suspension comes with four brass spacers/washers per road wheel pair and a slide molded center ring for each pair of wheels, so they are quite involved. Here each bogie is fitted with an auxiliary “helper” wheel to provide for better contact with the ground by the tracks. The suspension is very petite but complete, and happily DML has provided a set of DS Plastic tracks rather than single link ones for this kit. 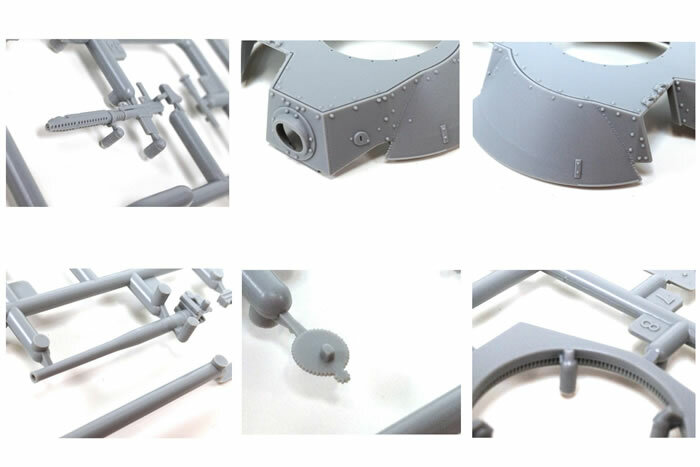 The tracks are about the size of 1/72 Sherman tracks as a comparison so this is a good idea. 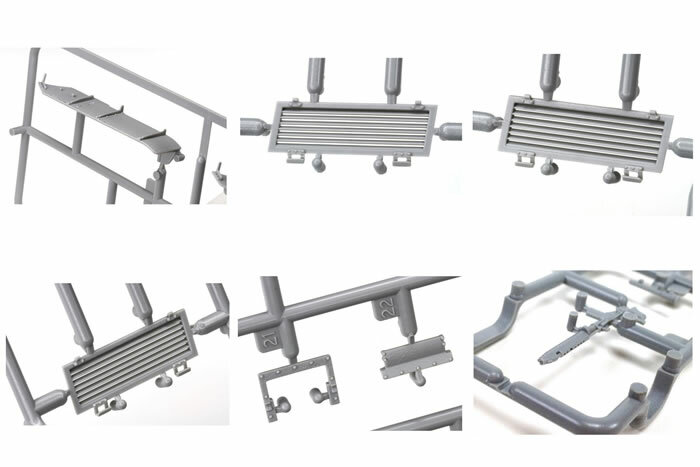 But unlike their 1/72 scale kits they do not give a required length to the tracks so there is no way to tell if the set provided is too long, too short, or right on the money. 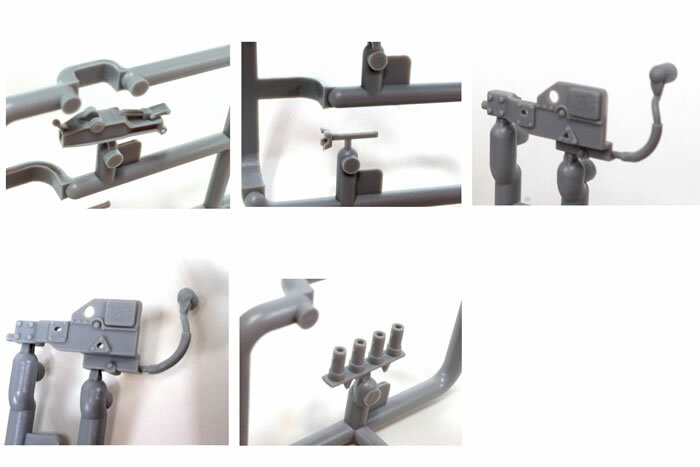 There is no interior per se in the model, but the turret has one and it covers a nicely done replica of the 37mm gun with a choice of two different breeches/catch baskets and moveable ball mounts for the two machine guns. The commander’s hatch offers either two styrene flaps or one with an etched brass seal. All hatches are separate and the front glacis ones offer either closed and locked or open with unlocked latches. The driver has an optional closed hatch or one with the viewer flipped up; each comes with its own clear styrene insert. The vehicle is provided with basic OVM to include three tow cables, pioneer tools, and a four-piece jack. Technical assistance was provided by Shin Okada. Two finishing options are offered: 4th Tank Regiment, 2nd Company Command Tank, Khal’kin-Gol 1939(four-color camouflage, no markings, blank registration plate); Koushurei Tank School, North China 1941 (four color camouflage, character, registration number 302). A small sheet of Cartograf decals is provided. Overall, this offers another option for the Type 95 but as noted there is very little information available about it.